The Sumatran tiger is, sadly, one of the most critically endangered animals on the Earth. As of 2008, there were only around 679 tigers alive. The Sumatran tiger is the only surviving tiger species living on the Sunda Islands. Sadly, the Sumatran tiger’s cousin species are the Bali tiger and the Javan tiger and they have already gone extinct. But at Australia Zoo, the carers are working hard to keep the Sumatran population from going extinct. 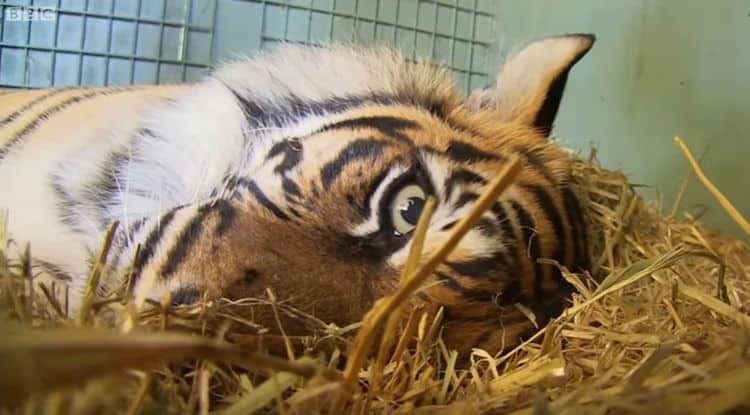 Kaitlyn the Sumatran tiger lives at Australia Zoo where she is cared for by a loving team of professionals. Best of all, she’s pregnant and she’s expecting twins! That’s right, Kaitlyn the Sumatran tiger is expecting children! 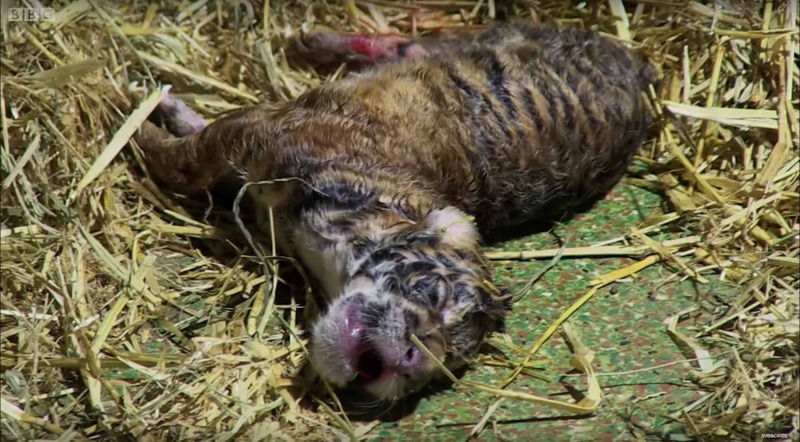 Her bloodline can be traced back to the wild origins which means her baby tigers are the most genetically valuable tigers to have been born at the zoo. Kaitlyn is a first-time mother so the zookeepers are keeping a watchful eye over her to make sure everything goes to plan. However, when she gives birth, the first baby comes out easily but signs of distress are apparent. The baby isn’t breathing… But Kaitlyn knows exactly what to do. A large team of zookeepers and vets are all waiting patiently to make sure everything is ok. But the baby is struggling to breathe. As minutes go on, the struggling breaths continue, but Kaitlyn keeps licking her young to try and help her out. But Kaitlyn is a professional and a supermom as she aids her baby to help. You start to hear little cries and squeals from the baby and that’s when all the zookeepers knew everything was going to be alright. After about 10 minutes, all is well and like it was timed to perfection, her second twin comes out kicking and screaming!